The Klipt IWB holster is the perfect way to secure and conceal any small or medium frame auto. It’s ultra-thin printing makes it very comfortable and extremely low profile. It can be carried without printing even when wearing minimal attire, and your firearm locks securely into the holster with the signature Blade-Tech click. 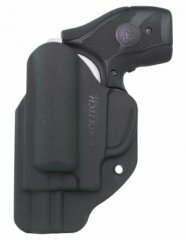 This holster fits the 442/642 J-frames with 1 7/8 barrel length.